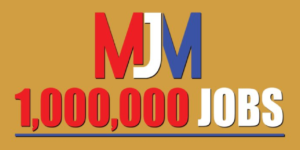 MJM is Mike’s personal commitment to do whatever it takes to create public awareness, and to encourage 1 million Americans to pursue high paying, rewarding careers in one of the many trades. Mike is on a mission to let America know that of the millions of jobs currently available in the trades, just about any one of them would be a great career and lifestyle choice. Mike believes that going to college is not necessarily the only viable path to having a fulfilling life. Click on the links below to view videos and blog posts Mike has made to help him reach his goal. Mike is happy to announce that the MJM is going national!